(WASHINGTON) — The Senate passed a measure Wednesday that would give airline passengers new rights and should help make an often frustrating experience easier. But the bill, which authorizes funding for the Federal Aviation Administration for the next five years, doesn’t tackle those pesky airline baggage fees — a big win for the airlines. This is a direct result of the April 2017 incident when United Airlines passenger David Dao was bloodied and dragged off an aircraft after refusing to give up his seat on an overbooked flight. Shortly after the highly-publicized incident, domestic carriers put an end to the practice of asking already-seated passengers to give up their seats. This bill would make that policy change federal law. Just because the flight has Wi-Fi, doesn’t mean passengers are allowed to make that business call. The bill would order the Department of Transportation to prohibit customers from making voice calls between takeoff and landing. Gate agents have long allowed pregnant women to board early along with families with small children, but this bill orders DOT to make that the law. In addition, it requires large and medium-sized airports to provide clean, accessible private rooms for nursing mothers. Changing tables will also have to be in both men’s and women’s bathrooms. The Department of Transportation will provide grants to help airport make the changes. After a puppy named Kokito died on a flight from Houston to New York when an attendant ordered the carrier into the overhead bin, it is now illegal to do so. United Airlines accepted full responsibility for what the flight attendant said was a misunderstanding. The measure, which now goes to the president for his signature, orders the FAA to establish minimum seat standards in pitch (the distance between rows of seats) and width within of year of the president’s signature. Consumer advocates have long argued that shrinking seats create a safety issue, but the FAA presented evidence that evacuating passengers end up waiting in the aisle anyway and current seat sizes have no effect on whether a plane can be emptied in 90 seconds as regulations require. 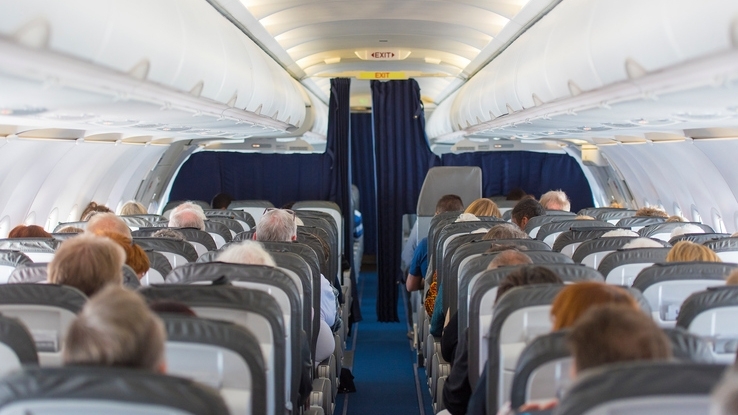 It’s unclear what the dimensions of seat sizes will be, but the bill orders regulators to consider what is “necessary for the safety of passengers,” not what is comfortable. With the FAA already having decided current sizes are safe, it’s unlikely to have any impact. Tall passengers will likely keep complaining.